The other half of the box in keeping with the rural theme, garden centres, animal feed, etc. will become Pott's Yard, the proprietor being a one M.T. Pott's. Through running line, small siding, loading dock/shed............ to be developed. Tad more progress on Pott's Yard, at the moment whilst the weather is dry and on short shifts aim to get as much of the woodworking side completed as possible. Have no where under cover to work, and whist my beloved tolerates a fair amount, sawdust and PVA glue in the new carpet is not going to help attain Brownie points! Put the wires in first, this time! Off hunting terracotta pots, Oh! And Mr. M.T Pott's has requested a bespoke vehicle for his flourishing enterprise, need to go and bend a certain gentleman’s ear who lives not far from me! Methinks a trade in white pepper pods might have the desired result, along with a few Mung Beans! 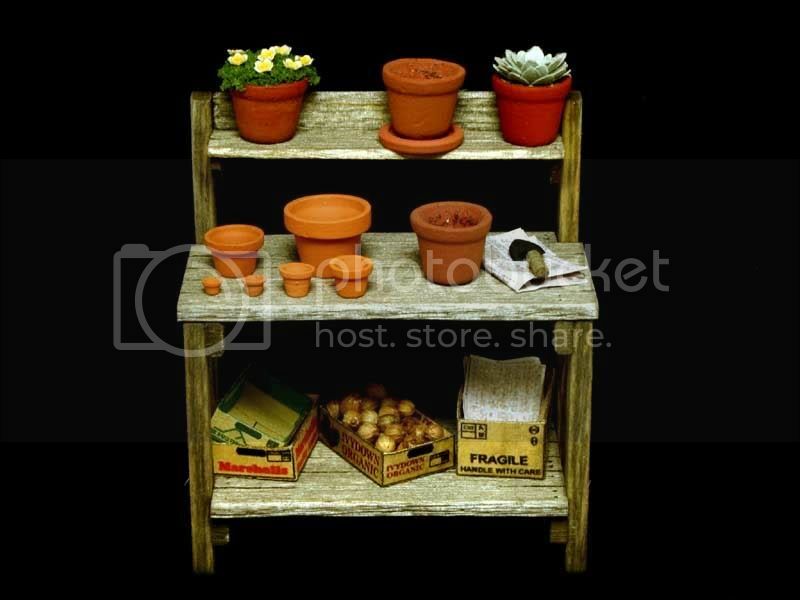 You want Terracotta pots, look no further than Braxton Payne . 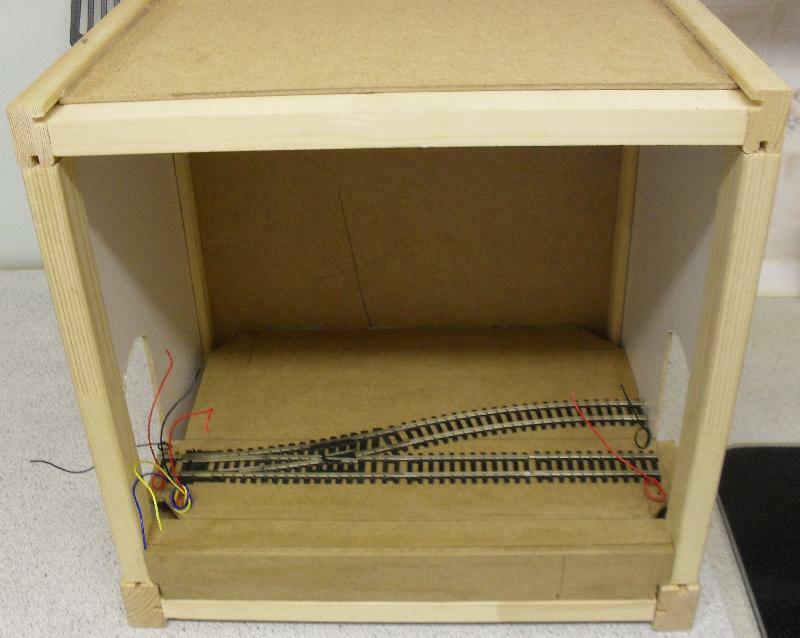 Pott's Yard, track, point motor, and all associated wiring completed and tested. Same point motor switch arrangement as Clyst Halt. Homebase currently not stocking the smaller profile of coving I had been using, have purchased the next size up, and hope it is not too obvious! 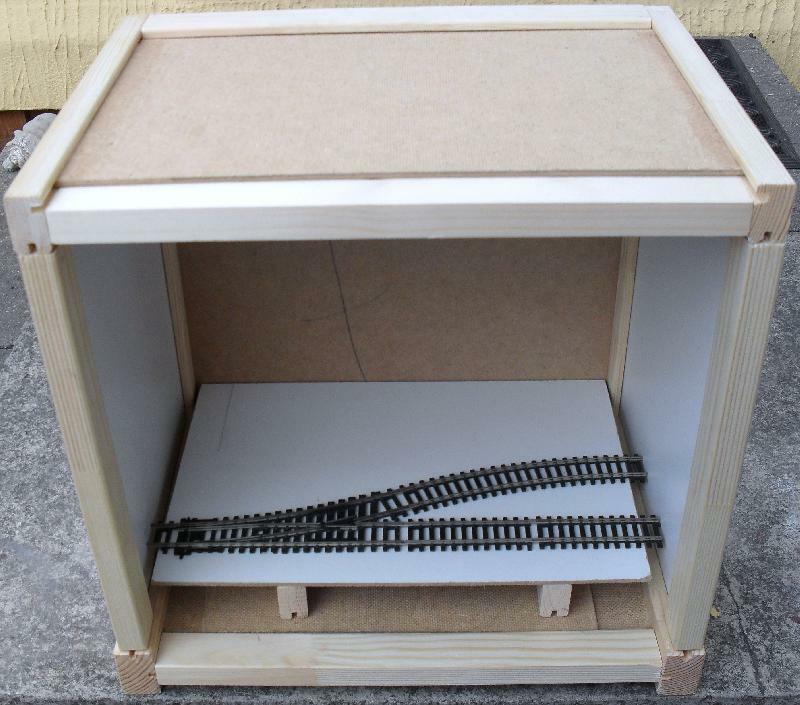 If dry later will make a start on painting the internal of the box, plus add a pelmet to the front. Experimenting with one of those battery powered stick on cupboard/shed led lights from Poundland. Converted it for use with a PSU from our no longer used telephone/answering machine. Nominal voltage of approx 13v DC (PSU states output voltage 6v DC) re jigged the internals of the original light to accommodate three resistors, light unit been on test for several hours, working fine, have another one to convert for Gneither End, will try with a lower value on the resistors to see if there is any discernible difference in light quality. 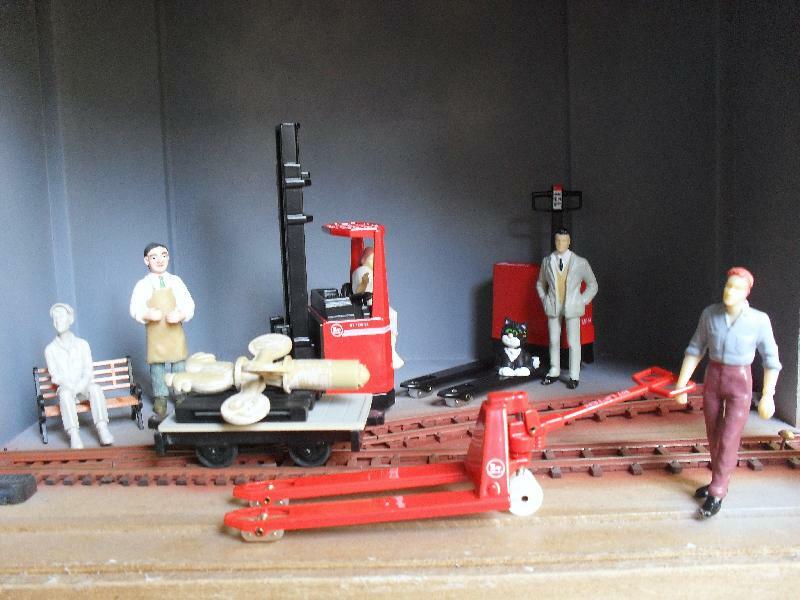 Much happenings down at Pott's Yard, under the cover of darkness three mechanical handling machines were moved by tractor and trailer up the farm track at the rear of the yard from the main line some 10 miles away. Anticipation grew to a fever pitch as 09.30 am approached, awaiting the arrival of the first train to use the new North to South link. At 09.31am “Sybil” with a solitary wagon crewed by a team from the new maintenance company, Trotters Integrated Transport Services gracefully glided to a halt in the Yard. Boycie and staff members from the Manor were present to see the arrival of his recently acquired weather vane from a “gentleman from Up North”. Said weather vane has now been moved to the Manor's workshop to be painted in Boycie's penchant for the ostentatious!